Our product range includes a wide range of gasoline hose. Gasoline Hose offered provides usage as flexible and lightweight hose for meeting the demands of transferring petroleum-based products. 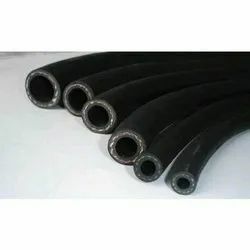 These hoses features durable construction finish and provide suitable usage under low-pressure discharge, suction or gravity flow based processes with working flexibility in extreme high and low temperatures. Some of its features include high oil resistant tube, synthetic rubber cover, spiral-plied synthetic fabric with wire helix reinforcement. Looking for Gasoline Hose ?